I ‘ve been doing quite a bit of research lately into what options are available to me when it come to finding a good discount brokerage. I’m finding that there are a lot of good companies out there, so making a decision on which one to use may be a bit difficult. When it comes time to choose the right brokerage for me, I'll be considering quite a few things. Among them, the costs associated with having an account, how much the trades cost, user reviews and the tools they have available to users. Today I want to look at one of the more popular discount online brokerages, Scottrade. In 1980, Rodger Riney, founder, moved from St. Louis to Scottsdale, Arizona where he and a partner incorporated Scottsdale Securities. In 1981, Riney returned to St. Louis to open a second branch, but ultimately split apart from his partner in 1985 due to conflicting business models. Riney kept the company name, Scottsdale Securities, and lowered the price of commissions to attract more clients. Riney's approach was successful and by 1991 the Scottsdale Securities had a total of 15 branches throughout the US. Scottrade.com was launched in 1996 (along with Scottrader.com to supply streaming online quotes to clients). Scottrade.com was successful and grew rapidly amidst the dot-com bubble of the 90s. In 2000, Scottsdale Securities officially renamed to Scottrade due to the success of their online firm. Scottrade saw substantial growth throughout the 2000s, expanding from 200 branch offices in 2004 to 500 by 2010. Scottrade was also selected by Computerworld magazine's 2008 16th best place to work in IT. In April 2010, Scottrade was reviewed in CEOWORLD Magazine ranked 2nd Best Online Investments Stock Broker. Probably one of the most important things to consider when opening an online brokerage account is to consider what fees, commissions and minimums you’ll see when using an account. When it comes to trading stocks, Scottrade isn't the lowest cost in the industry, but they are certainly among the most competitive with their $7 stock trades. That rate is for stocks priced $1 and above, regardless of trade frequency, account balance or number of shares. Phone trades are $17, while broker assisted trades are $27. There are no fees for an inactive account, annual account maintenance, account closing, IRA termination, or online statements. There is a minimum account funding level of $2500 to open a cash account. Want to learn more about investing, the markets and trading in general? Scottrade has live webinars and on-demand webcasts for members. They also offer local branch seminars and regional user summits that not only go over investing in general but also specific aspects of using the Scottrade platform. On the website itself they maintain a knowledge center, have tools for market research and real time quotes, in addition to having a variety of trading tools. In other words, their website has pretty much everything you could need. m.scottrade.com Or just go to their mobile enabled website! What information can you get on the apps? Investor fundamentals and market earnings. Scottrade has been rated highly for customer service, and unlike a lot of online brokers they have a network of almost 500 local branches. If you think you may want to sit down with someone face to face at some point, you may want to consider them as an option. If you want to reach someone by phone, you can do that as well at (800) 619-SAVE. Your calls will go into your local Scottrade office to be answered by someone there. Scottrade is one of the industry leaders when it comes to affordable online trading and investing. They have $7 trades, low minimums and fees, and on top of it all they've got local branches and customer service should you ever need it. In my opinion they should definitely be a contender if you're looking for a discount online broker. Cheap stock trading rates, among the lowest of discount online brokers. Few fees to worry about. Local offices and customer service. No fee IRAs and other investment options. No transfer fees if you decide to go to another service. 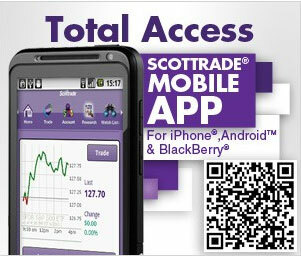 Have you used Scottrade? What has your experience been like? Are you happy with them? Tell us your thoughts in the comments. For a while now I've been looking into all the online high yield savings accounts because we wanted to find a place to put our hard earned emergency savings. As of this writing, because we're so conservative, we're currently sitting on close to 12 months of expenses in savings. As you might expect, 12 months of expenses is a nice chunk of change to be earning interest off of. We wanted to make sure we were putting our money in a place where it would be earning good interest, but also that it was a solid bank with a good reputation. Today I’m reviewing one of the banks that we ended up getting an account with, Ally Bank. Ally Bank – Who Are They? The brand – Ally Bank – has been around for a year or two now, although they aren't a new flash in the pan bank. A lot of people don’t realize is that Ally Bank is the new face of an old name, GMAC bank. They changed the name in May of 2009 at a time when they were giving the company a face-lift, and giving a promise to be the customer’s “ally”. While the old GMAC bank wasn't my favorite bank – and the fact that they needed a face-lift from the start had me skeptical. But when you also factor in the fact that they have one of the competitive bank rates right now, and that so far they've gotten good reviews – I was more than willing to give them a shot. Kiplinger's Personal Finance named Ally Bank high yield savings account the “Best Internet Account” and “Best For Millennials” for 2018! Is My Money Safe At Ally Bank? Whenever you're considering signing up for a new bank account, it's important to find out if your money will be safe at the institution, and whether or not the bank is insured. Ally Bank is fully FDIC insured, and has been since August 2004 – under their old name of GMAC. If the bank has problems and goes bankrupt, you’ll be fine – as long as you don’t have more deposited than the FDIC insurance will cover. Currently that amount is $250,000 per depositor. Ally Bank’s high yield savings account has low fees, no minimum balance and you can open with zero dollars if you want! Ability to create sub-accounts with different names and account numbers. I opened my account with Ally Bank about 4-5 months ago. It was pretty simple. It’s a 5-step process. You’ll have to give them some basic information (including your SSN and drivers license), and they’ll do a hard credit pull. Then you just set up your initial deposit from your linked account, set up a few account options and you’re set to go. No fuss, no muss. Open your account with Ally Bank. Easy 5-step process! In addition to it’s competitive high yield savings accounts Ally Bank also has other options available including classic CDs, no penalty CDs (ability to withdraw early with no penalties) and money market accounts. All of them seem to have rates that are currently competitive. For more details about their other account options, click here. I Signed Up For Ally – You Should Too! I've now been with Ally Bank for several months, and so far I've been extremely satisfied. They offer some of the highest interest rates in the country and all of their accounts are FDIC insured (to find current updated rates, go here). Add to that their solid 24/7 customer service (which I have used more than once) and other account type options, and you have a good solid bank that does what it should. If you’re looking for a good high yield savings account where you can put your money, I think Ally Bank should be near the top of your list. I know it reached the top of mine, and was one of the accounts I ended up opening. Open an account at Ally Bank. Click here for details! Do you have an account with Ally Bank? How do you like them? What are the pros and cons of their accounts? Tell us your thoughts in the comments! 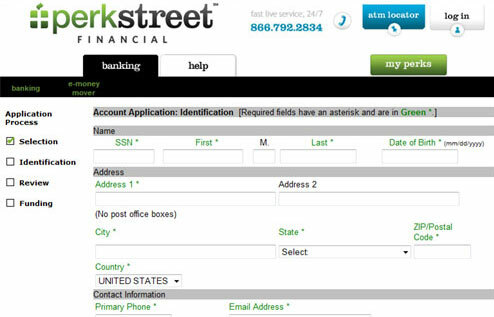 PerkStreet Financial Free Rewards Checking – Review: A Cash Back Checking Account? That’s Right! Over the past couple of years we've seen the rates on online savings accounts drop like a rock. Most online savings accounts are currently hovering around 1-1.3% in interest earned on your money. In other words it isn't exactly an amazing return on your money. In addition to the online savings accounts souring, rewards credit cards have been seeing their accounts drop benefits, add annual fees and in general become less of a good deal. I know my rewards credit card terms have changed for the worse. It isn't a great environment if you're actually trying to get something extra for your money. Until now. Perkstreet Financial has burst onto the scene with a new concept that has a lot of folks pretty excited. It's a rewards checking account! You get to earn money on the money that you spend from your account – up to 2%! For the most part online and bricks and mortar checking accounts haven't been anything to get excited about. You get an account, and you use it to pay your bills. While you may not be paying any account fees, you're also not getting much out of the account other than a place to put your money before you send it out to all your regular monthly bills and savings goals. Now Perkstreet is turning things around by offering people cash back just for spending their own money. How much money you get back really depends on a couple of factors. How much you spend: The more you spend, the more you get back! How much you keep in your account: If you keep $5000 or more in your account at all times, you'll be able to earn 2% cash back on all your purchases. While that might not sound like that much at first glance, if you consider it, it really does end up being quite a bit of money. For example, if you spend $2500 in a normal month on all your bills, you could start paying them via your Perkstreet Visa, and get back $50 in cash if you have a $5000 balance. Even without a high balance you'd make $25 back! That's $300-600 back in a year! With cash back rewards that good on a checking account, what it really means is that my credit card account is becoming obsolete. I pay cash for everything anyway, so why would I keep the credit card account, and it's associated risks when I can get the same benefits from my checking account? You can get 5% cash back on certain categories and certain merchants! Getting a new account at Perkstreet is quick process that should only take you 5 minutes of your time, according to their site. You select what type of rewards you want, give identification, review your information, and fund the account via credit or debit card. Debit or credit card to make the initial $25 deposit. Some have stated that when they opened their account they didn't get a hard credit pull on their credit report. Others have stated that when they opened a “plus” account – with overdraft protection, they DID see a hard credit pull. I’m not sure if either of these is true, so be forewarned. When I heard about the Perkstreet Rewards Checking account, I was intrigued. It was a pretty new type of account offering, not one you're seeing yet at many other banks. Time will tell if it is successful, but if it is, you can be assured that you'll see these account types popping up all over. Some of the things I like the most about the rewards checking at Perkstreet include the large number of free ATMs you can use when you have the account (over 37,000 of them in the STARsf® surcharge-free network), no monthly fees as long as you use the account, free bill pay, and the protection of FDIC insurance of up to $250,000 on your account. So you don’t have to worry about your money being safe. Best of all, the account will pay you to spend your own money, without having to use a credit card! One of the few downsides I can see is that you have to keep a relatively high $5000 balance to earn the highest cash back rate (2%), but even at the lower rate, it's still a pretty good deal. If you want a rewards account, but don't like dancing with the credit card devils, Perkstreet is a great option to consider. Not only will you be paying cash for the things you buy, but you'll be earning money back on all your purchases!